Boccaccio, Giovanni. De casibus virorum illustrium. Trans. Laurent de Premierfait. 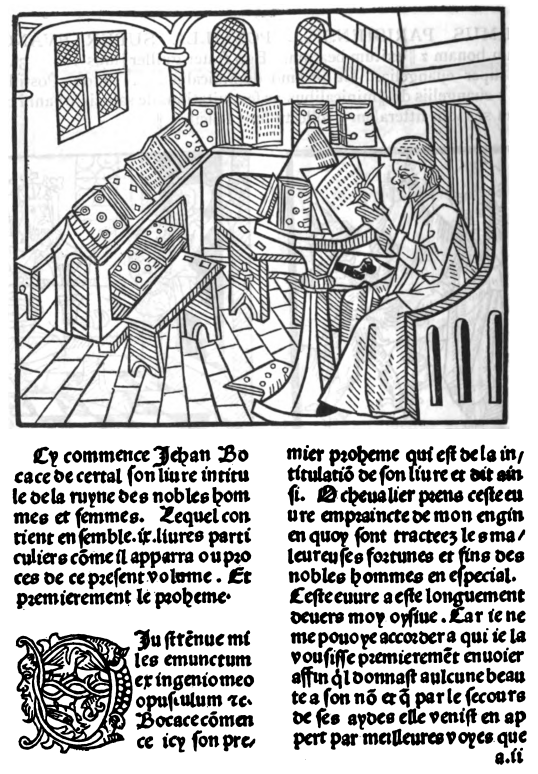 Lyon: Mathias Huss and Johannes Schabeler, 1483. Provenance: Margaret Windsor (prioress of Syon Abbey). — William H. Crawford. — Crawford sale, Sotheby, 13 March 1891, lot 388 (sold to Leighton for £13). — Morris. — Richard Bennett. — J. Pierpont Morgan. — Morgan Library (ChL1568). References: Ellis valuation, fol. 15b, no. 184 (£13). — ISTC (ib00712000). — Morgan Catalogue 3, no. 600. — MS catalogue (2), no. 967, p. 90.